I will be happy to co-present the inaugural Academy Legacy Award to Piers Handling, the Director and CEO of the Toronto International Film Festival at the Canada Stars In Awards Season red carpet event on Thursday, February 19th. 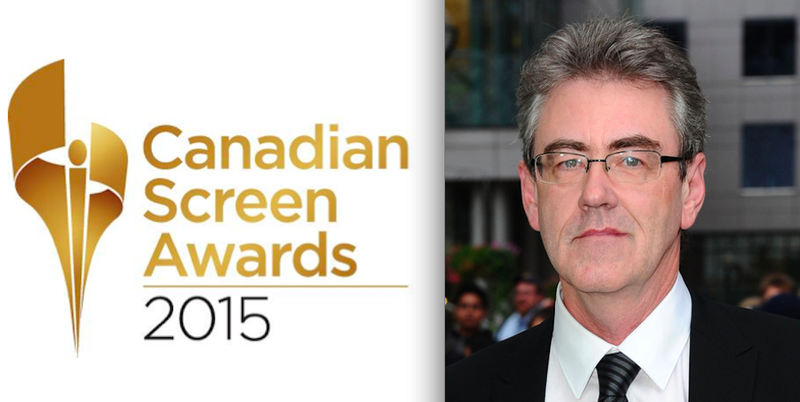 This Canadian Screen Award is in recognition of TIFF's excellence and its fortieth anniversary. The other presenters will be acclaimed actress Sandra Oh, and Helga Stephenson, CEO of the Academy of Canadian Cinema & Television. Ben Mulroney of etalk will serve as emcee at the ceremony taking place at the Four Seasons Hotel in Beverly Hills. “TIFF put Canada on the world stage," said Stephenson. "It brought Canadian cinema into the international spotlight. It established Toronto as a key date on the festival circuit for players around the globe. The Academy salutes TIFF for its resolute commitment to Canadian cinema." The event celebrates the members of Canada's film and television industry nominated for Academy Awards and Canadian Screen Awards, and is co-hosted by the Academy of Canadian Cinema & Television, Telefilm Canada and James Villeneuve, the Consulate General of Canada in Los Angeles, who will also be in attendance. Carolle Brabant, Telefilm Canada Executive Director, said that TIFF's commitment to showcasing Canadian cinema "played an important role in promoting homegrown talent and success stories. TIFF is most deserving of this newly minted Academy Legacy Award, and the Canada Stars In Awards Season event in Los Angeles is a most fitting event to spotlight the contribution of our talent in front of and behind the camera." "We are so pleased to receive this inaugural award from the Academy of Canadian Cinema & Television," said Piers Handling. "TIFF's mandate is to champion Canadian cinema at home and abroad and to inspire Canadian talent to become tomorrow's leaders in the industry. We're thrilled to be recognized for our efforts." I am also happy to present this award because the Toronto International Film Festival meant so much to Roger, and last September they honored him with The Ebert Dinner at TIFF. Martin Scorsese was the first Ebert Dinner honoree.